The Omni Jacksonville Hotel will serve as the site for the 2019 IBWSS. Individuals are responsible for making their own room reservation directly with the Omni Jacksonville Hotel to receive the special IBWSS rate using the link below. If you receive a call or email from a booking service, please disregard it as it may be a scam and report to IBWSS@safeboatingcouncil.org. Register for free as a Select Guest to receive complimentary Internet access, member-only offers and express check-in and check out. From I-95 south, follow the signs to Downtown/Union Street/Sports Complex (the exit is on the left-hand side). Take exit 353B (Union Street) and turn left. Follow Union Street until you make a right onto Jefferson (second stoplight). Follow Jefferson until you make a left onto Water Street. The hotel is three blocks away on the left. Go Airport Express: The Shared ride shuttle rates are $25 per person and $10 for each additional person. Private transportation is also available through the link starting at $42.00. You may also call 904-722-9494. Upon your arrival to the Jacksonville International Airport, please take the escalators down to baggage claim. Secure your luggage, and proceed directly to the “Meet & Greet Desk” located at the north end of baggage claim at baggage carousel A-1. There you will locate your chauffeur and/or Meet & Greet Representative and he/she will assist you to your vehicle. Group transportation services available for Meetings & Events, Restaurant Dine-Arounds, Off-Property Excursions, Destination Weddings, etc. Vehicle Options range from Sedans, SUV’s, Executive Vans, with 24, 36 & 57 passenger Buses. Taxi: Fees vary with service. Rental Car: Fees vary with service. Self-parking is available at the Omni Jacksonville Hotel for $14/day. 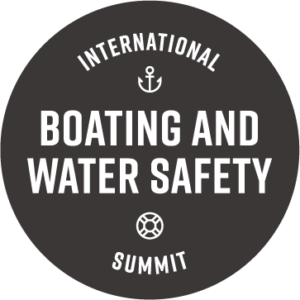 Be sure to mention the room block for the International Boating and Water Safety Summit/NSBC. Valet parking is $20/overnight. Skyway: The Skyway is connected to the hotel via a walkway. The service runs from the Prime Osborn Convention Center to the South Bank of the St. John’s River. The skyway runs from 6:00 a.m. to 9:00 p.m. Monday through Friday. The fare is complimentary. River Taxi: The River Taxi is located at Jacksonville Landing. Weather permitting, the water taxi provides service to the South Bank of the St Johns River and Jacksonville Municipal Stadium. The fare is $8. Downtown Trolley: The trolley lines offer increased transportation flexibility in and around downtown, San Marco, Riverside and Avondale.